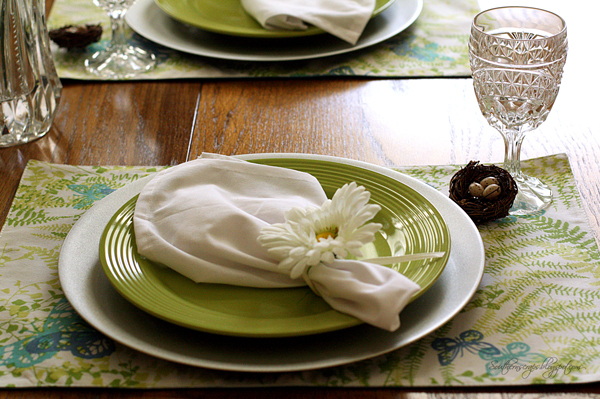 I set this table just before Easter. 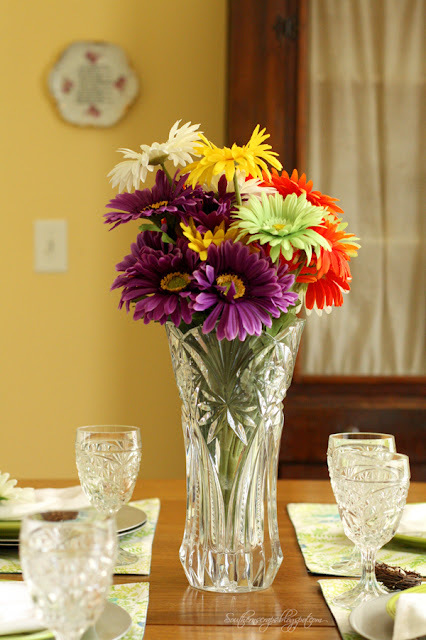 I had some egg picks in the flower bouqet and then removed them after Easter, leaving everthing else in place. It's a very simple tablescape but it worked for the season. I decided I had better share it before it's time to set up for summer. The glasses are thrifted and the plates are from Dollar Tree. Nothing expensive here. 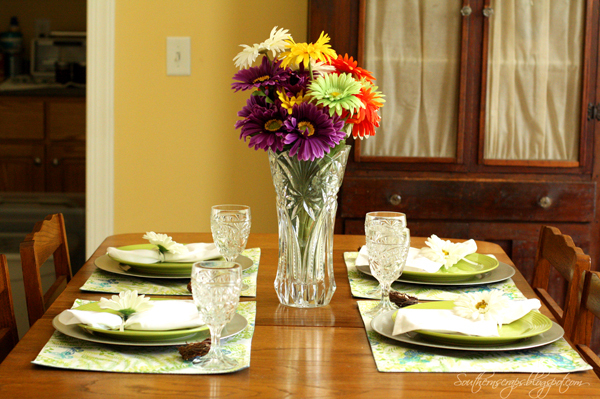 Some plain white napkins are tied with white daisies to tie in with the colorful bouquet. 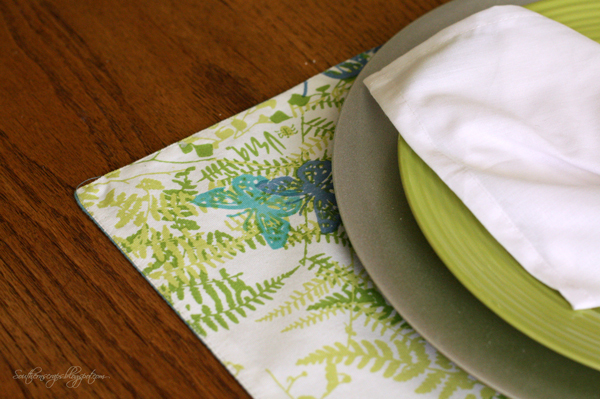 The place mats feature my favorite- butterflies. 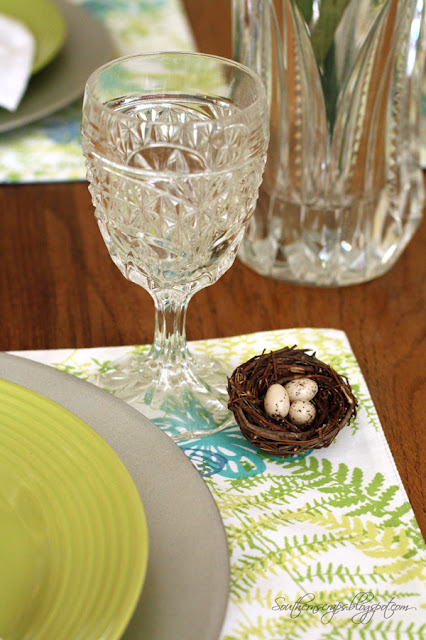 A bird nest adorned each place setting as well. What is spring without birds and nests? Pretty! I love the color scheme. It's perfect for spring.